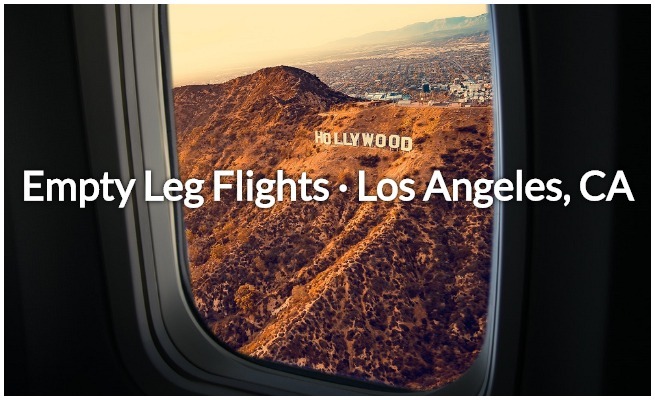 Enjoy incredible deals on private jet travel in Southern California with empty leg flights to/from LA! Call us anytime to enjoy direct access to more than 10,000 private planes based at airports throughout California and across the country, connecting you with an empty aircraft that can be utilized for your flight to/from Los Angeles, CA! Thanks to the high number of charter planes making the commute to/from Los Angeles, new opportunities are constantly created for private jet charters at just a fraction of the typical price! Every day, airports in Southern California welcome executive and luxury jets from around the world. Van Nuys Airport (VNY), the preferred airport for VIP and celebrities, is one of the busiest private jet airports in the World. It’s also the destinations for some of the most frequently traveled routes for private aviation in the United States. Call us at +1 (888) 987-5387 for more information on how you can enjoy the savings. 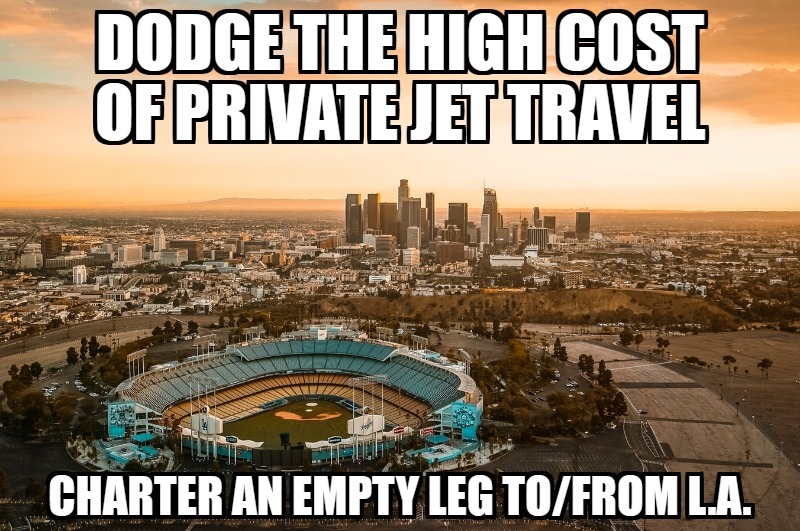 Our team will find an empty leg private jet in Los Angeles, or a plane returning to LA from wherever you’re flying from, saving you a ton on the cost of private jet travel! An empty leg flight becomes available whenever a plane is flying without any passengers on board, and can happen for one of several reasons. Planes could be on their way to pick up passengers, or returning home after dropping passengers off; they could also be camping at the airport between flights, or performing re-positioning flights to get ready for upcoming missions. Each time a plane takes off carrying only the flight crew, the aircraft operators (and owners) are just losing money. However, in many cases the person booking the flight is also responsible to pay for the empty re-positioning flight, also known as the “deadhead” leg. Since the cost of this flight is already covered, the empty flight is marketed and sold at a substantial discount. For example: someone arranges a one-way flight from LA to NYC, and has to pay for the return flight home. After dropping off passengers in NYC, the plane now must fly back to LA. This creates an empty leg flight back to LA, and can be marked down as much as 50 percent or more! Are you flexible with the dates, times, and airports for your flight? The more flexibility you have, the more options will become available. Aircraft availability across the empty leg market is very fluid, changing every day as flights are booked to/from Southern California. Even if we’re unable to find a transient aircraft for your flight, we still offer top of the line air charters with the most competitive rates in the industry. There’s a huge demand for empty legs as they’ve gained popularity, especially in Southern California. You can try searching for one, but availability is limited to each operator, and many times are posted as click-bait to draw you in. How do you find one of these exclusive, time-sensitive travel deals? Start by calling us at Los Angeles Private Jets. Our team enjoys visibility and access to every transient plane around the world to find you the best deals! We don’t answer to owners or operators either: we only answer to our clients. This lets us compare empty leg costs from every available operator so you never miss out on the best deal. There are hundreds of charter planes based at Van Nuys Airport (KVNY); Hollywood Burbank-Bob Hope (KBUR); John Wayne Orange County (KSNA); Long Beach Airport (KLGB); and dozens of airports stretching from Santa Barbara to Palm Springs and all the way down to San Diego. Whether you’re looking for a one-way flight to the East Coast or a quick trip to the Bay Area, let us find an empty plane and lower the price of your private jet charter! We offer 24 hour air charter services in Southern California no matter where you’re located. And, our quotes are free and non-committal, so don’t hesitate to reach out for more details on empty legs to/from Los Angeles, CA!